Our coffee is locally roasted in Northern Colorado by Jackie’s Java, our custom espresso gold roast combines beans hailing from Brazil and Columbia with an additional top secret aged bean in the mix. It’s this sneaky bean that takes the credit for the smooth taste our coffee is known for. 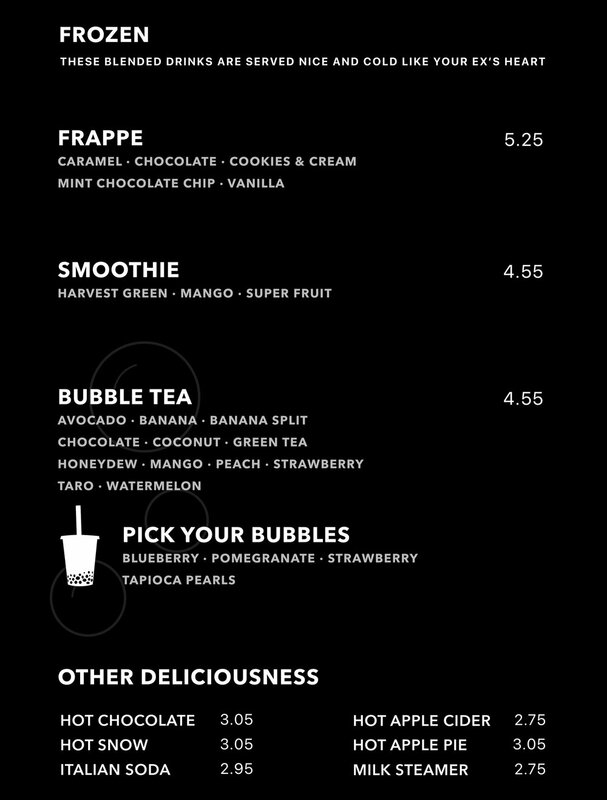 We also have a variety of awesome blended and non-caffeinated drinks, as well as yummy eats. The cafe is nestled on the bottom of the Paramount Building in downtown Cheyenne. Originally a theater at the turn of the century, our building still retains its vintage charm and oh, how we wish these walls could talk. The Paramount is locally owned and operated by Renee & Jon Jelinek. Both Wyoming natives, they also co-own The Second Floor coworking space upstairs and The Majestic Building right next door., along with the recently added Paramount Ballroom, our adjoining cocktail lounge next door. Jon, a retired military officer, spends his days as the go-to-guy for both the Paramount and Majestic buildings while Renee runs the show behind the scenes in addition to owning both the Cheyenne and Fort Collins Plato’s Closet locations. We love supporting our community by recognizing local musicians and artists. JOIN US THE FIRST Friday OF EVERY MONTH at 7pm for open mic night. The Paramount Stage is a pretty great little feature of the shop. Acts are booked on a first-come first-serve basis and are free for musicians and free to the public. Instead of being a music venue, the Paramount is a coffee shop which happens to have music sometimes – therefore we do invite tip jars at our performances, but we do not charge a cover for any shows. If you think your act might be a good fit for our shop, please fill out the form below! We are always looking for talented, charismatic and (really) just all-around awesome people to join our expanding barista team. Not only do we work hard, having fun is a pretty big part of the day here, too. Click below to apply online! CARE TO JOIN US FOR A COCKTAIL TOO? The Paramount Ballroom is Cheyenne's handcrafted cocktail lounge serving specialty cocktails, sharable bites and good vibes! 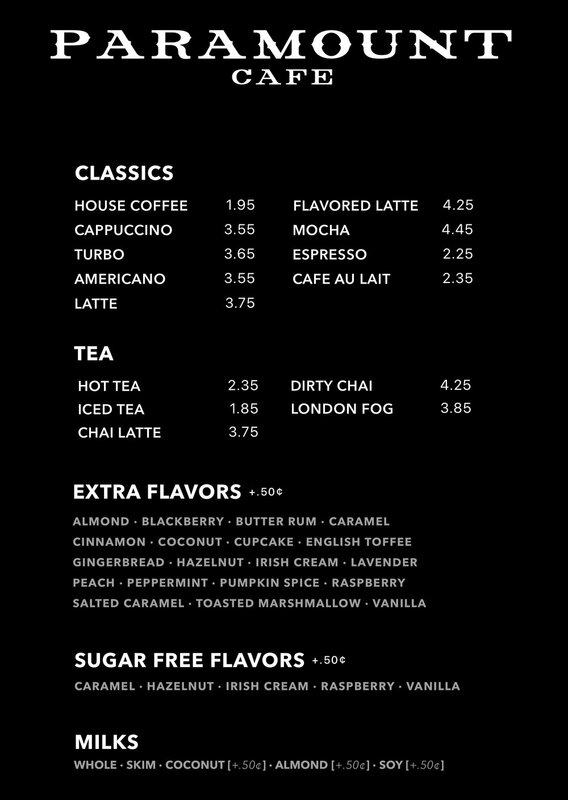 Featuring some of your café favorites and connected directly to the Paramount Café.